Nigeria earned N397 billion from the export of Liquefied Natural Gas, (LNG) and Liquefied Petroleum Gas (LPG), also known as cooking gas, in the third quarter of 2017, data obtained from the National Bureau of Statistics, NBS, has revealed. The NBS in its Third Quarter 2017 Foreign Trade Statistics, stated that the country exported LNG valued at ₦386.028 billion, while cooking gas export stood at ₦11.835 billion. 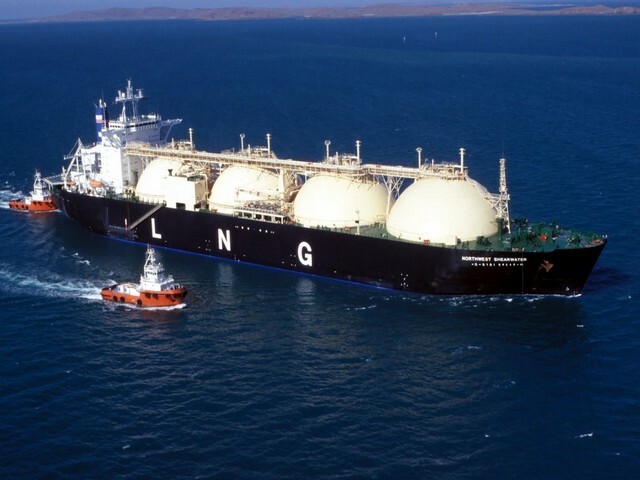 Generally, the report stated that total earnings from gas export in the period under review stood at ₦483.4 billion, comprising other gaseous components in addition to LNG and LPG. The report disclosed that other petroleum gases export stood at ₦30.8 billion; Liquefied Propane export also fetched the country ₦19.113 billion; while the country exported ₦14.71 billion worth of naphthalene. In addition, Nigeria exported liquefied butane worth ₦13.71 billion; other LPGs and other gaseous hydrocarbons valued at ₦7.199 billion. Furthermore, contrary to claims that the United States had stopped buying Nigeria’s crude oil, the NBS report stated that Nigeria exported crude oil to the US valued at ₦457.732 billion in the third quarter of 2017, making the country the second highest buyer of Nigeria’s crude oil. India emerged the highest buyer, with the purchase of crude oil valued at ₦550.88 billion in the period under review; while Nigeria exported crude oil to Spain, Netherlands, France and Indonesia valued at ₦298.73 billion, ₦220.52 billion, ₦178.18 billion and ₦162.1 billion. Also, South Africa, Canada, the United Kingdom and Italy purchased Nigeria’s crude oil valued at ₦161.5 billion, ₦148.9 billion, ₦107.5 billion and ₦100.9 billion respectively. The NBS noted that the structure of Nigeria’s export trade was still dominated by crude oil exports, which contributed ₦2.972 trillion or 83.17 per cent to the value of total exports in the third quarter of 2017. It said, “Exports by section revealed that Nigeria exported mainly mineral products, which accounted for ₦3.475 trillion or 97.2 per cent of the total export value. The second largest component was ‘prepared foodstuffs; beverages, spirits and vinegar; tobacco’, which contributed ₦25.81 billion or 0.7 per cent of the total exports.